Content producers are in the throes of death. Be it the New York Times, Washington Post, L.A.Times or any major news publication, they’re all in dire straits. Today it’s mostly middlemen (platforms) like Facebook, Trip Advisor, Yelp, Yahoo, Bing (Microsoft) and Google who leech on others’ content and make money. There’s just no end to the train of woes besetting content producers, big or small, these days. 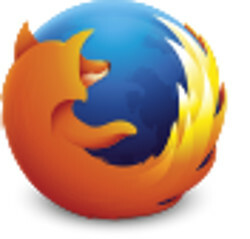 A few days back, Firefox browser delivered a devastating punch to content producers. When ads are quickly strippd away from the content, the content producers lose and lose big-time. Firefox is not the first browser to strike against content producers. Apple’s Safari browser has had a similar “distraction-free” feature for a few years, both on the Mac and the iPad. If you think content owners are raking in moolah from subscriptions, fuhgeddaboudit. With the rare exception of publications like New Yorker or the New York Review of Books that have a dedicated subscriber base, at least 95% of online news consumers are steadfastly determined not to pay a dime for content. Advertising has provided no relief either. There’s far too much ad inventory and too few advertisers. And the cost per click keeps sliding down every day. To compound the woes of content producers, browser plugins like Ghostery and AdBlock Plus have delivered another hammerblow by stripping all ads from web page. In recent years, a few prominent tech blogs have started high-paid conferences where startups must pony up anywhere from $1,000-$2,000 per person to participate. There’s always been the suspicion that startups that decline to participate in these technology conferences will find it difficult to get publicity when they need it most. And without the oxygen of publicity, few startups can gain traction. But the conference business too is getting crowded. Against the backdrop of diminishing revenue opportunities for content producers, scores of them are going through death by a thousand cuts (layoffs, reducing frequency of coverage, eliminating subjects covered, raising prices of their print versions which is further reducing subscribers). It’s hard to imagine there’ll be many content producers five years from now.